First of all thank you for referring me to this thread, what your saying intrigues me though as I know many life long fans not people who got lost along the way, what are your feelings towards the reunion in 1996 then? I didn't care anything about seeing it as I'd already seen Kiss in concert on the Rock n' Roll Over tour in 1976. You know how some people don't want to look at the corpse at funerals because they prefer to remember people when they were alive and well? That's how I felt about seeing Kiss again. Plus, as I've mentioned, I'd lost interest in Kiss a long time prior to that. Would I ever go again? Just to get my daughter the kick of seeing Gene, she likes his stage moves, but she is too young yet. Poor Ace. The other three looked awesome, about 10 feet tall, and were full of enthusiasm and slutty banter. But Ace stayed slumped in his chair throughout, a totally forlorn figure - Wiped Out, and In Need Of Love. Nice play on the songs there loool ! I think COTN is one of their best albums even though Ace didn't play on it. I think the general consensus is that KISS have died out and should stop playing with their "tribute acts", truth be told KISS has always been the ultimate pragmatic band, quickly changing to new styles and seeing to the accidents that have happened in the band and because Gene and Paul have been in KISS since the very start so only without them it wouldn't be KISS but with them and any other two members it would be KISS as it always has been Eric Carr, Vinnie Vincent, Bruce Kulick etc. I mean Ace and Peter left over 30 years ago, Eric Carr was longer in KISS than Peter was and Bruce was in longer than Ace was. KISS has just gone through various stages to keep alive as a band as they know what the fans want whereas the opposition would argue it's for money... and for some reason they always have and will be a strong band because of the huge fanbase. They must have been doing something right to stay alive for the past near 40 years? Saw them first on the Animalize tour back in '84. Flew up to Detroit to see the reunion tour opener at Tiger Stadium, with Alice In Chains opening, and then caught them again on that tour down here in the 4th row - in front of Gene. Every show was fantastic. At this point they really are a joke though. KISS remind me of Molly Hatchet, original name but not many if any, of the founding members. At least KISS or Gene Simmons was smart enough to realise that all the make up, costumes and pyrotechnics distracted from the mostly ordinary music they played. They did have a couple of fairly decent songs but nothing to be considered of a "classic" nature, IMHO. Sounds like you're describing AC/DC there, Reg. What do you think about AC/DC? 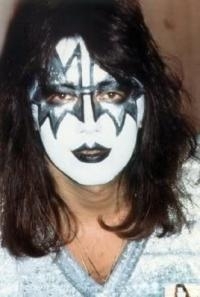 As for Kiss, the only cool thing I ever liked about them was the make-up. that was more attractive to me than any of their songs, personally speeking. They're both cut from the same cloth, Major!? I've never been to Oz, but I hear it's a beautiful place. Unfortunately, your bands are pretty lame, or at least the ones I've heard, although I do have a soft spot for early Rose Tattoo - 'The Butcher and Fast Eddy' FTW . It must be like a cold beer to a man parched of thirst and dying when our bands visit your shores. 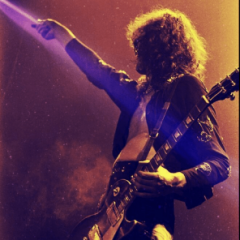 I expect you saw Zep in 72? Which show(s) were you at? Chisel were a good live band back in the day but they are put up on this pedestal and treated as the best thing since sliced bread and I don't agree with that. I managed to catch the '72 Sydney show, it was the first "real" rock concert I'd seen and that's why I'm on here. Google a '90's band called The Cruel Sea, I think you'll like them. Although when I saw them on the Lick It Up tour, I did feel a bit 'cheated'. But like I said before, I met them in the flesh a couple years before, in full regalia, a foot away from me. I could even smell the greasepaint, and see Ace's pock-marks. Cool. I even touched Paul. I didn't wash my hands for a week after that. Ahh I see what you mean, when you saw them was it before or after they announced they were going unmasked? It was after - Lick It Up was already out. When I said I felt 'cheated', I meant I was disappointed they weren't in make-up. I had been a big fan since Love Gun, and I could be wrong but I think the Lick It Up tour was the first time they'd played in the UK since, oh, maybe 1975? So it was a shame to have waited so long to see them, and then for them not to be in make-up - even though I knew they wouldn't be. Ohh I see where your coming from. It's not as if people are going on to a Kiss forum or fansite and bagging them, that would be troll-like and rude. How many albums have they released, not counting live ones, make up the 50m? Along for the ride or taken for a ride? Actually that's pretty funny. Didn't Gene Simmons always say he wanted to be as big as the Beatles? He's probably said that at some point. I know he's a huge fan. Gene has always said they wanted to be the "Heavy Metal Beatles" with 4 distinct personalities. Why they never put this on The Elder is beyond me, might have even saved it.